Boy Scouts – Conservation or Profit? 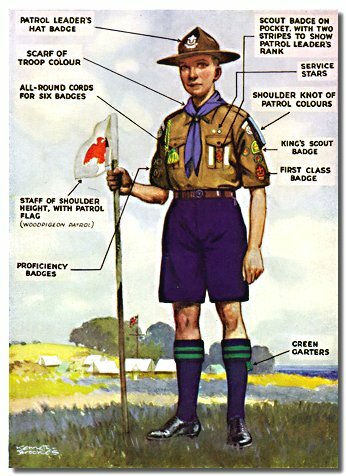 I never was either a “Cub” or “Boy”, but I did read the handbook and completed all of the merit tasks for fun. Punk and clubs, at least clubs for boys, don’t mix. Anyhoo, I ran across an article this morning which lead to a whole series of stories investigating the commercial forestry practices of the Boy Scouts. Cedarlands, a 5,000-acre Boy Scout reservation in the Adirondack Mountains, is one of several camps the Boy Scouts of America have logged in the northeastern states. Timber harvesting of 250 acres at Cedarlands generated more than $80,000 in revenues in 2007 — as well as shock and dismay among Scout volunteers. The Scout council says it was a strategy to generate a healthy forest. Most regular readers know that the balance between conservation and economic development is a major force in Adirondack life. We try to live and play in one of the last areas of wild land in the Northeast. Add a Blue Line to make things really interesting. My past and recent experiences with Boy Scouts indicates to me that their “wilderness ethic” is more about Man over Nature, rather than harmonic interaction which “leaves no trace“. Most Boy Scout skills are more about human infrastructure and survival. Not that there’s anything wrong with that. But what about this? The cutting — and its extent — was necessary, the council said, because the forest’s poor health posed risks with old or diseased trees poised to possibly fall on a Scout. The financial gains are obvious. The forest management plan estimates the council will net a little more than $600,000 over 10 years. The subjective interpretation of that photo is the crux of the issue. 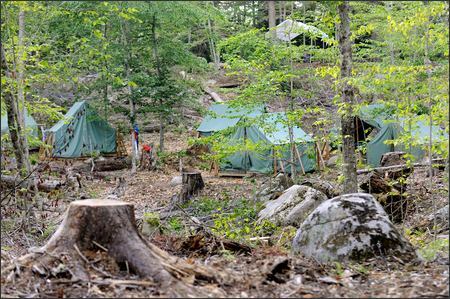 According to one Scoutmaster, “It looks like this site had a bomb go off.” I’d like to see more photos of the 4 Adirondack camps in question. I’m all for conservation, but I realize that human intervention is a necessity especially in forested areas. Take the yearly California wildfires, for example. Many of those fires begin in dry tinderboxes of woodlands, which, had they been cleared of the old decaying timbers, would have been less apt to light up, or at least the fires would have raged less destructively. Those stumps in that photo look awful, but an entire ecosystem thrives in those, bringing about a “natural” decay simultaneously. It seems that the push for “natural conservation” goes a little too far at times. And you can bank on bureaucrats never looking at the larger picture, only what they see and feel at the present moment (and what is lucrative for the present moment). Definitely an interesting issue. “Forestry Management” is really a subjective concept.